Now that’s how you win at hoops. 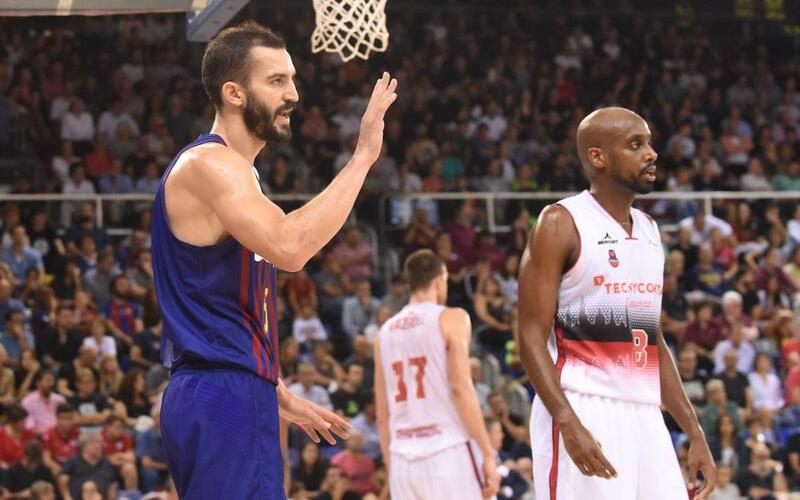 Zaragoza were blown away to the tune of 99-55 victory in a one sided game that saw the Catalans register no fewer than 18 three-pointers to hold onto top spot in the Liga Endesa. In a game that was 11-0 after four minutes, there was only ever going to be one winner, and the first half just brought more and more of the same. Seraphin and Heurtel on fire as the teams went in for the break with everything as good as decided with Barça +31. There was no easing off after the restart either. Blazic, Kuric and Pau Ribas now took the reins of the team and the difference rose as high as a staggering +44. Pau Ribas (20 punts), Kuric (16) and Blazic (15) ended up leading the scoring, but the whole team was to be commended on this performance which leaves the blaugrana 4-0 and flying in the domestic championship.